Ready … Set … It’s YogaPalooza 2018! 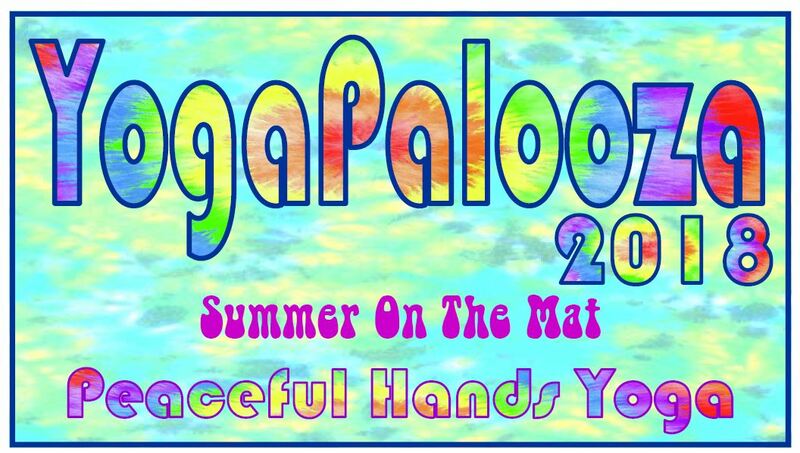 YogaPalooza 2018 – our 11th Annual Summer On The Mat – begins Monday, July 9 and is scheduled to run through Wednesday, August 29. Every YogaPalooza class has a unique focus. Some are classic. Some are funky. Some sparkfully challenging. Some restfuliciously grounding. Plus, two new guest instructors will bring their special Yoga spirits to two Saturday morning classes. If you’ve never experienced YogaPalooza … it’s my time to share special classes, following classic and not-so-classic Yoga themes. All in the spirit of bringing balance and ease. A little irreverent, sure. Sometimes goofy. Always fun. 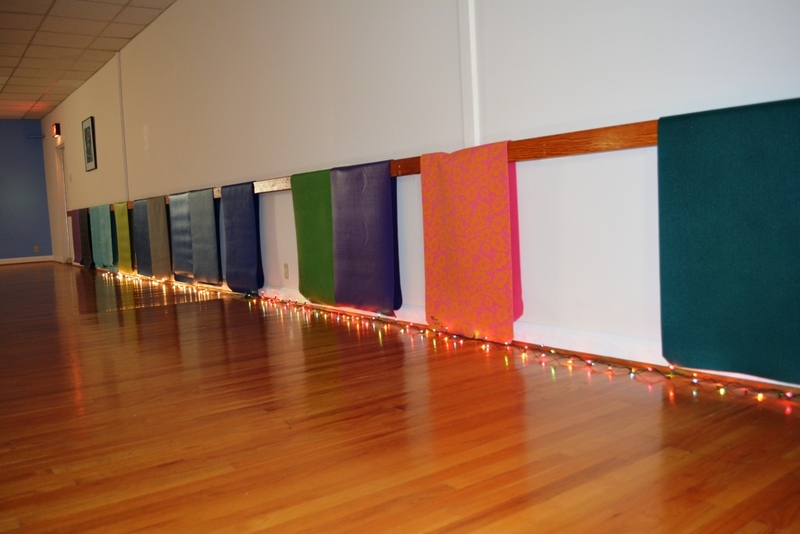 It might be a holiday week at Peaceful Hands Yoga, but I hope you take some time to unroll your mat … even if it’s just to sneak in the quick 2-minute session we played with in recent weeks. And, YES, time to get ready for our WINTER 2018 Yoga Session. Make A Fit, Healthy, & Vibrant Year YOUR New Year’s Resolution. Make A Fit, Healthy, & Vibrant Year YOUR New Year’s Revolution. And, I thought … hmmmm … maybe that’s not a typo after all. Revolution means to “turn around” to bring one back to the starting point — to bring one back home. Its root is “revolve.” And, for me anyway, Yoga seeks to turn me around and point me back home. Revolve with me, won’t you? Make Yoga Your New Year’s Revolution. ** Our Kundalini-inspired New Year’s Day Morning Yoga class is one of my favorite Peaceful Hands traditions and for 2018 I have a few little treats up my sleeve (plus, keep reading to find out how to get your New Year’s Day class FREE). *** Our 8-week Winter Yoga session begins on Wednesday, January 3, 2018. *** AND, The Wildlife Center of Virginia needs a little extra help from us through these winter days. Monday, January 1, 2018, 9:30 a.m. New Year’s Morning Yoga: It’s our traditional Kundalini-inspired Yoga class that will wring out the old and freshen up your energy for the New Year. Plus, I have a few fun, special treats planned for those who start their New Year with me! … IF YOU … Register and pay for the 2018 Winter session on Monday, your New Year’s Morning Class is FREE! The Wildlife Center of Virginia is grateful for all the help the Peaceful Hands family gives to them throughout the year. And, they have a special request for this coming New Year’s Day. Could you bring a can or two of pet food when you come to class? Cat or dog, any brand. Mookie is delighted to donate a couple cans from our cat food pantry, especially if he can help the bobcats! 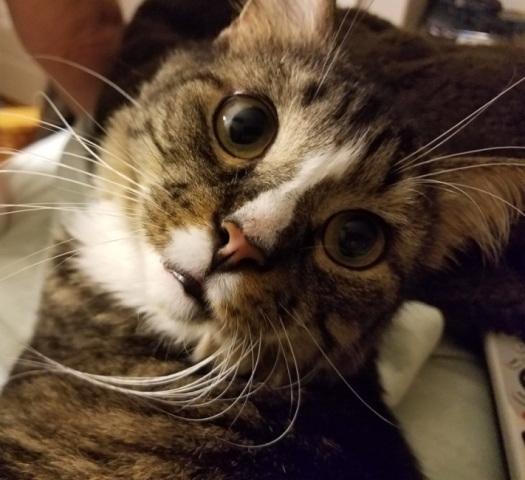 If your cat or dog would like to help too that would be wonderful. Just bring to class! Thank you for ALL the nice things you do to help the Wildlife Center of Virginia! I hope to see you in 2018! Thank you, as always, for being part of the Peaceful Hands family. You inspire me and warm my heart in so many ways! Photo Courtesy of: Smihael, CC BY-SA 3.0. Have we made it through this winter? Maybe. (Maybe not.) All I know is my calendar says Spring Yoga begins on Monday! So, here’s the spring schedule (please note the two upcoming no-class dates) and some info on my upcoming baseball talk in Culpeper … I hope you’ll join me! The new eight-week session of Peaceful Hands Yoga begins on Monday, March 6 and is scheduled to run through Wednesday, May 3. Your first class with me is free! 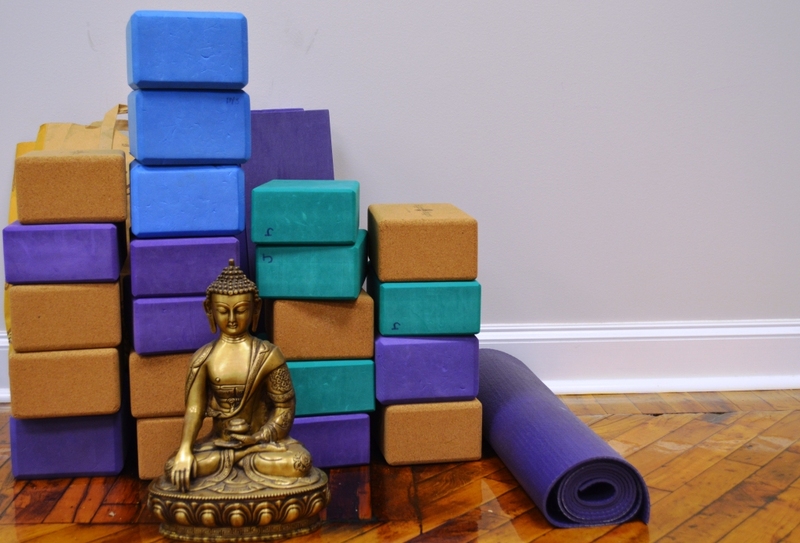 General Yoga Class info, including directions to the studio, make-up class policy, class styles, what to expect, and things like that can be found here. And, a non-Yoga aside. I’ve been invited to speak at the Museum of Culpeper History on Sunday, March 19 about something that is definitely spring-y … Baseball. Wearing my Baseball Bloggess cap, I’ll be talking about two great ballplayers in the Baseball Hall of Fame. One was black, the son of slaves who played before baseball was integrated. The other was white, a banker’s son with a college degree. Culpeper and baseball tie them together. Baseball can often can tell us a larger story of who we are as a country – and how we got here. I hope you’ll join me (I promise, no downward dogs!). The talk is free and, yes, there will be snacks. More info and RSVP info is here. Spring is the season of growth and renewal. While the sun and the warm and the rain give birth to our gardens, the energy of springtime also brings us the opportunity to grow and renew our own energy. The warm sunshine and longer daylight may already be improving your energy and get-up-and-go. 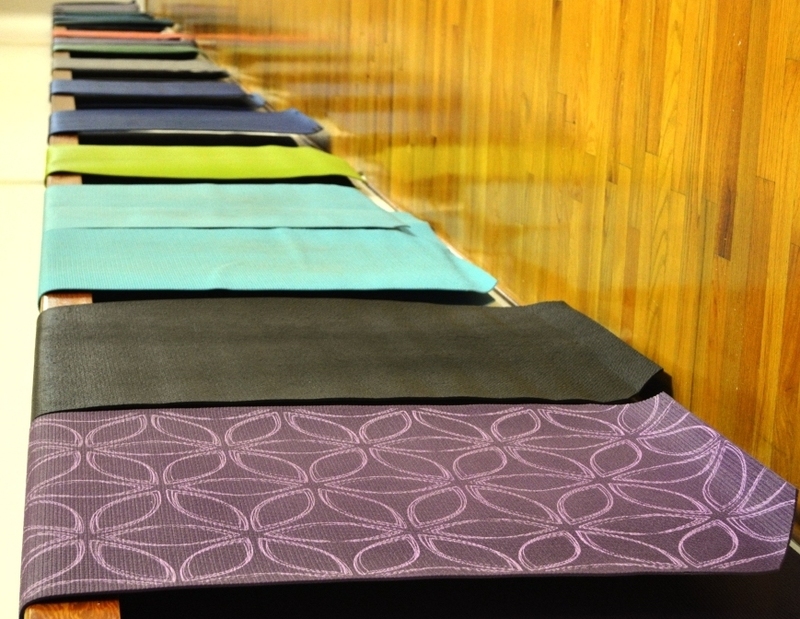 And, YES … our 8th Annual YogaPalooza is on its way in July & August! And, please be sure to follow this website to ensure you’re getting the latest info on our Yoga classes. (I’m beginning to phase out our old email list, so following here is the very best way to stay loopified!) Just click the “follow” link from the homepage. 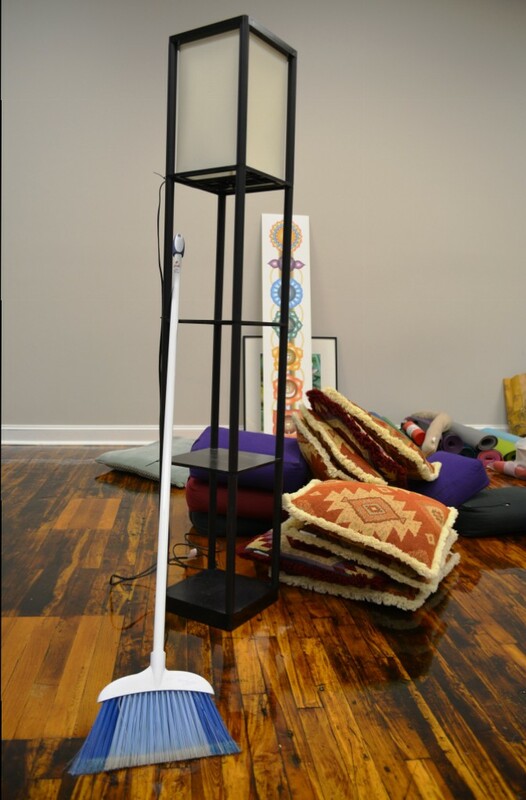 Just a quick reminder that this coming week’s Yoga classes on Monday, March 2 and Wednesday, March 4, are the final classes of our Winter session at Peaceful Hands Yoga. If all goes well weather-wise, we’ll move to the new SPRING session on March 9. We’d love to have you join us. As always, your first class with me is free. For more information about our classes, including directions to the studio, class fees, and such, just click here for all the info (or click the “Yoga In Orange” link on the menu bar). Feel free to email me at jackie@peacefulhands.com or call 540.672.9528 for more info. I hope to see you on the mat! 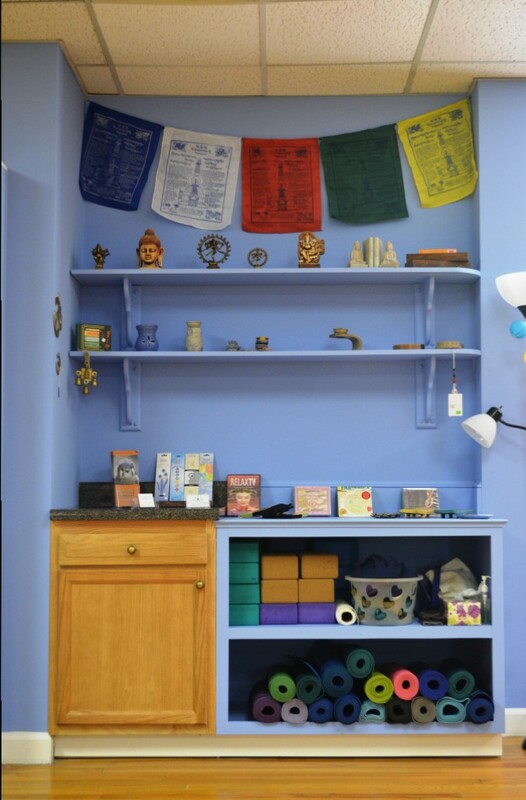 Peaceful Hands Yoga has moved! 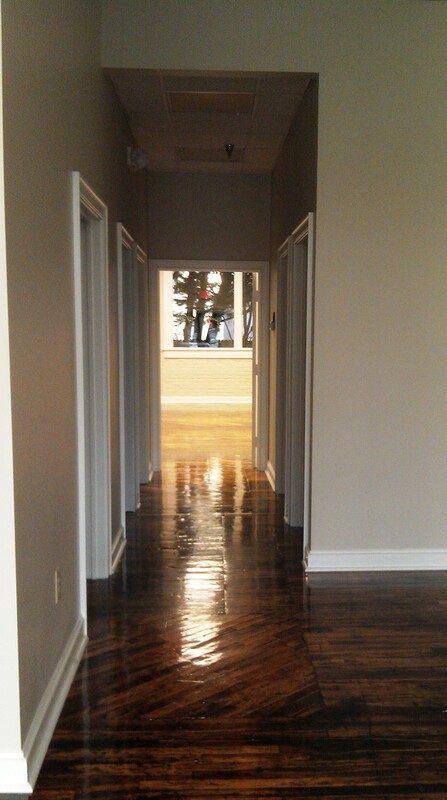 We’re now located at 228 Warren Street, Orange, Virginia at the Sedwick Racquetball Courts. I will miss the little studio that served us well for the past two years. One last look. One last goodbye. 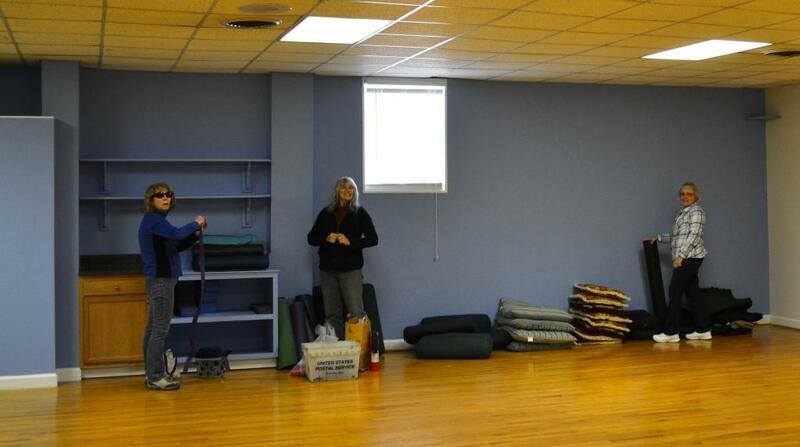 If you think moving a Yoga studio is easy … yes, you’re right. 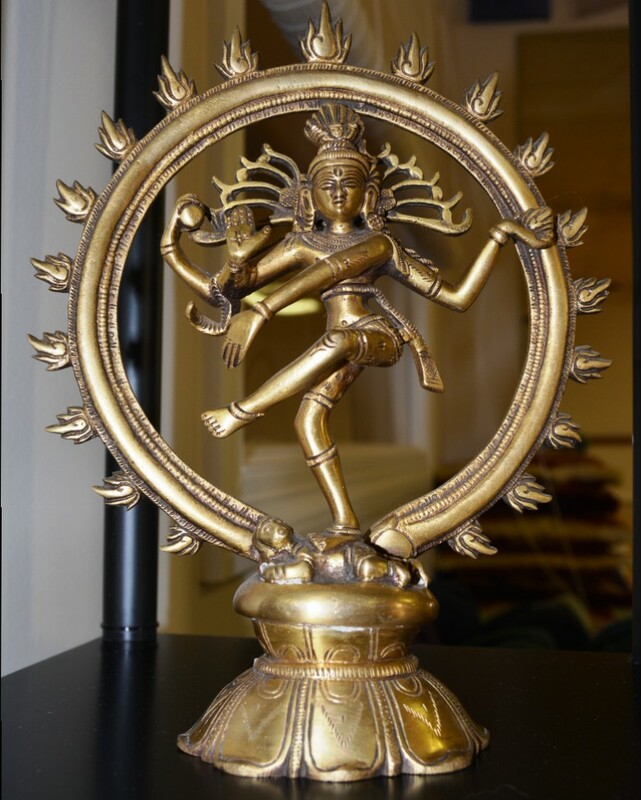 Roll up the mats, pile up the pillows, and don’t forget to pack Shiva! 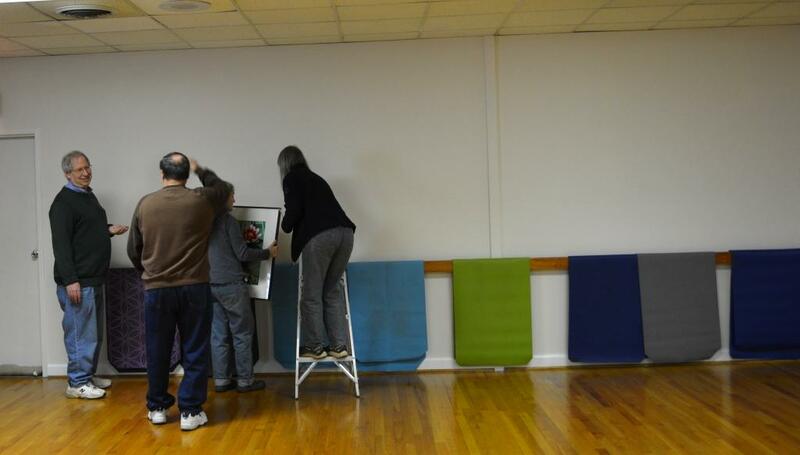 Once everything was moved to the new space, we cleaned up the loaner mats … and when we unrolled them all, we realized just how much more space we will now have! The Ocean Wall includes a little nook for tucking away blocks and straps and mats and peaceful things. We have so much more space that I ran out of my strands of colored lights before I ran out of wall. 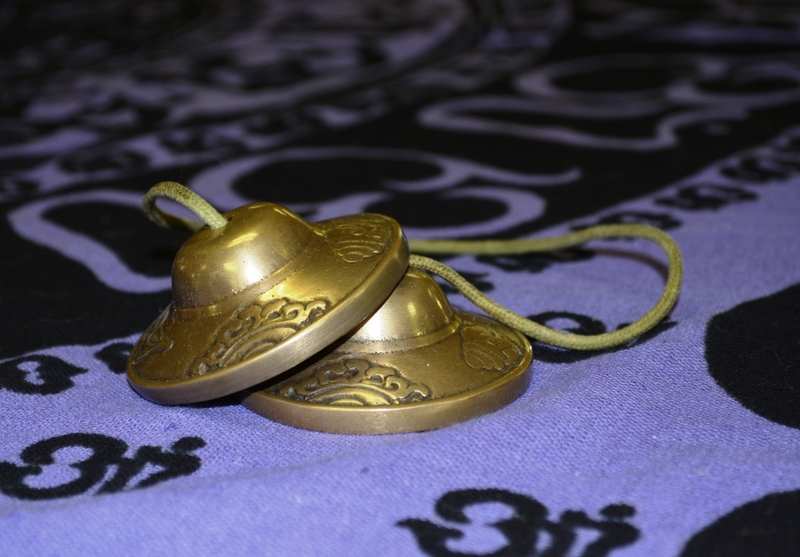 … is to ring the bell. If you sign up for the 8-week/8-class session ($72/8 classes) … take either the New Year’s Eve OR New Year’s Day class FREE. OR … Sign up for the unlimited 8-week session ($120) and take BOTH the New Year’s Eve AND New Year’s Day classes FREE. I’m beginning to transition to this website for my Yoga schedules and updates. In the meantime, if you need additional information, click here for general information about my classes or contact me at jackie@peacefulhands.com or 540.672.9528.